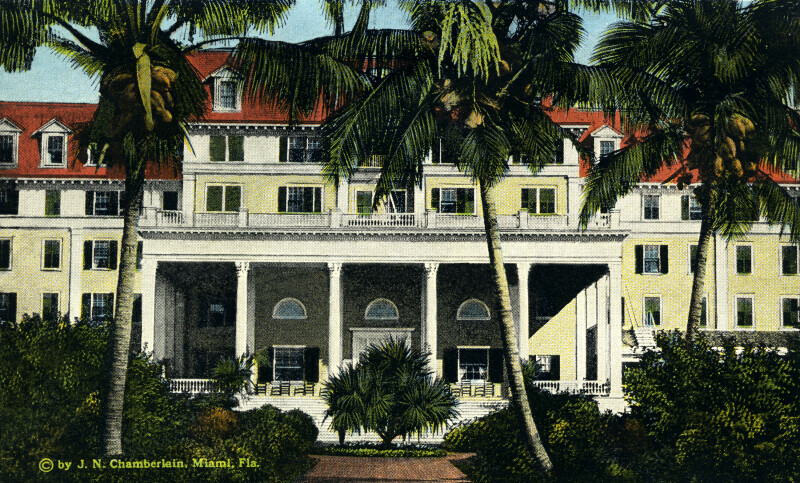 This image provides a closer view of the south porch of the Royal Palm Hotel. In the foreground, there are three coconut palm trees. Like the front entrance, the door of the south porch is covered by a portico that is supported by ten square pillars with decorative capitals. The door of the south porch does not have a pediment, and the second floor windows are circle top instead of rectangular. The south side of the building also has a deck on the third floor, with a white, wood railing.